Yay! I finally got a nice clear shot of a hedgehog! 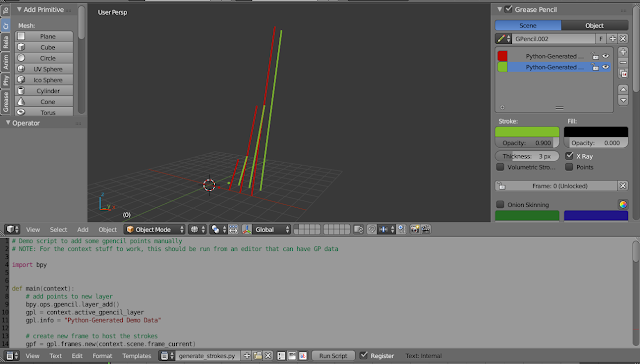 A little demo of some of the new features available in the GPencil_Editing_Stage3 branch since the Stroke Sculpting update. It's official: The schedule for all sessions has just been posted on the Siggraph Asia 2015 website. 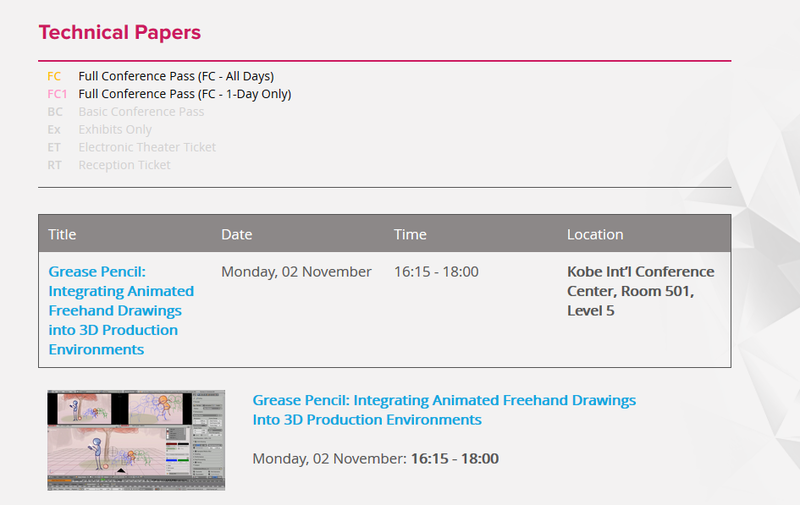 I'll be presenting our paper about Grease Pencil on Monday 2 November, during the 4pm - 6pm session on Animation, in Room 501. As much as I like looking at pics of cute/fluffy/beautiful cats on the internet, it's sickening seeing them do *this*! Especially when, just days earlier, the silvereyes were busily feeding a nest of chicks in that very part of the tree! In response to a question on BlenderArtists this morning, I spent a few minutes poking around with the Python API to check whether it is possible to generate GPencil strokes using a script. For the benefit of everyone, I've included the test/demo script I wrote at the end of this post. You should be able to just copy and paste it into a text editor (fingers crossed it doesn't grab any of the HTML crap in the process) and start playing around. Use cases for being able to create Grease Pencil strokes using Python include loading in stroke data from other apps, or for providing addon developers additional ways of adding in-viewport annotations without having to hack around with bgl and draw handlers.